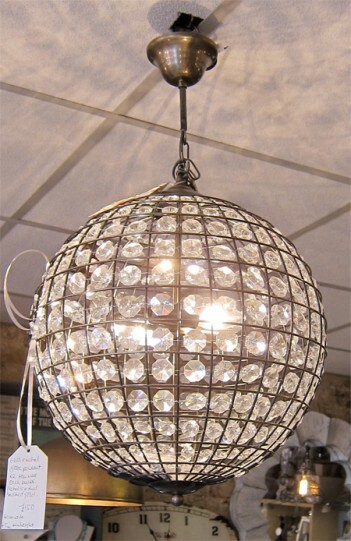 Beautiful, glass and metal large ball electric pendant takes two bulbs (max 40W each). The metal is a dull brushed gold colour with circular glass design details. Measures 41cm wide and 65cm mininum height.